About Us - WA Field & Bowhunters Club Inc. The Club currently meets most Saturday afternoons from 12.30pm to 5.00pm, throughout most of the year, with a short break over the Christmas holidays. Shooting on the ranges starts at 1.00pm. We also have an indoor venue every Tuesday evening from 8.00pm till 10.00pm at the Scout Hall in Wanneroo on Scenic Drive. Check out our shoot calendars HERE! 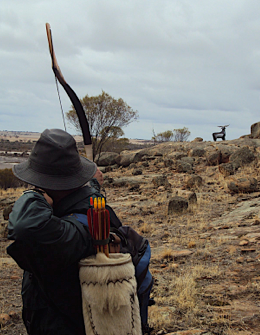 For anyone who wants to learn how to shoot a bow or just "come'n'try" field archery, the Club has suitable bows and arrows for hire and qualified Coaches to instruct the basics of shooting. Children as young as 8 years old, teenagers, adults, aged persons and disabled people can all learn how to do Field Archery. It is important that you Contact Us and make an appointment before coming to the club. This way we will be sure to have a coach available as well as some gear for you if needed. The Club's Membership Fees are renewable each year at 1st July. Membership Fees are pro-rata during the year and Family Rates are available for 3 or more family members. Outdoor: $10 for adults, $4 for juniors and cubs or additional Family member. It is also possible to pay yearly shoot fees. Probationary membership fees are $35.00. This fee includes insurance for the first three shoots. Probationary membership remains current for three months or three shoots, whichever comes first. Probationary members may only visit the club on Saturdays or in the company of financial members. These probationary fees are valid only at WAFBC. 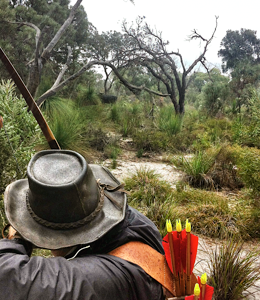 The Australian Bowhunters Association is our parent body, membership to it is a prerequisite to joining WAFBC. Insurance covering shooting field and hunting is included in ABA membership fees. You can join the ABA here.